When considering what I wanted to write for this month, I had a few options. 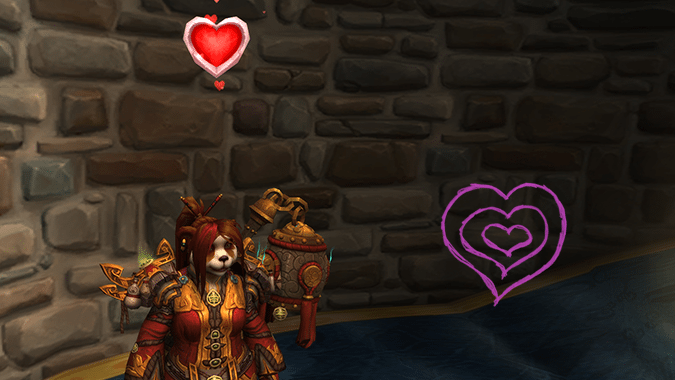 I knew I wanted to do something Valentine’s Day themed for this week, and considered discussing all the wonderful things our monks can heal, DPS, or tank. However, after putting some thought into it, I realized that you, my readers, are already pretty well aware of the sorts of content your Monk can do. Heck, you’re probably out there doing it already! Sometimes, though, it’s important to look at the other details outside of how a spec or class plays. Sure, that’ll probably end up in this post somewhere. But there’s a ton to love about Monks. When you ask a Mage why they love to Mage, most of the time it’ll probably be something about how they like turning stuff into sheep or shooting fireballs or whatever. Then there’s Rogues with their sneaking around, and well, all classes have a pretty great backstory. Monks, however, introduced new lore to the game. Prior to our introduction, nobody had heard of the Klaxxi, the Sha, or Emperor Shaohao. Sure, you can cite that as being Pandaren lore. 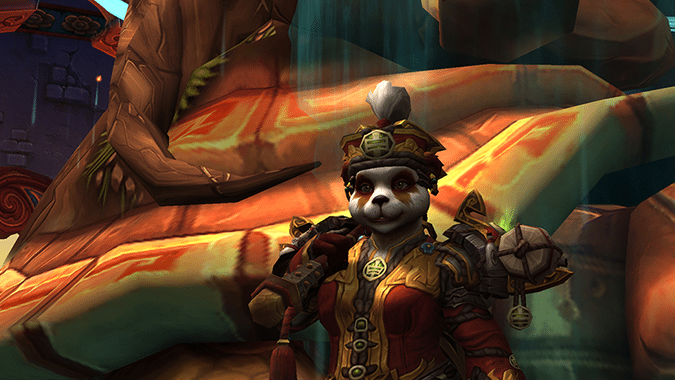 However, Monks epitomize Pandaren culture. When Blizzard wrote Pandaren, they wrote Monks. And when Monks were introduced as a class, they gave us insight into the values and way of life for the Pandaren. The two became very clearly intertwined, as emphasized by the Way of the Monk allowing the Pandaren to be free of the Mogu. 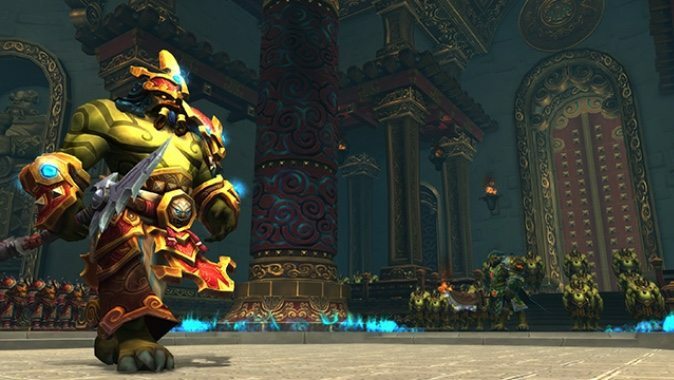 Coming from a pretty tough background, reliance upon one’s own abilities really spoke to me as a player at the announcement of Mists of Pandaria. And honestly, most Monk players have hit life’s highs and lows at some point, whether from the struggles our non-hero class has faced from time to time or just at the curveballs life likes to throw at us. 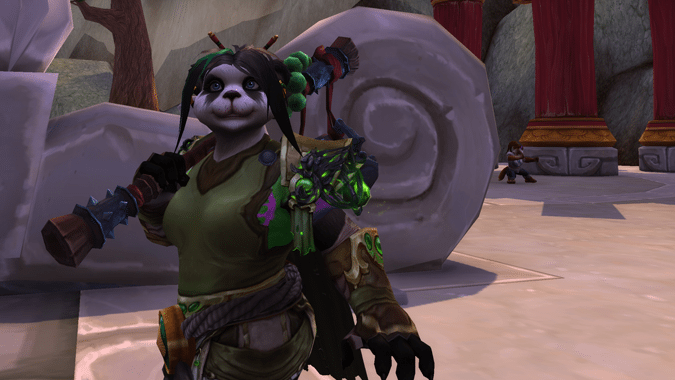 In the end, the patience and peace of the Monk and Pandaren cross-section serves as a lesson to just slow down, and take things a day at a time. If you are playing any single one of the three flavors of Monk, and you’ve been playing it longer than Legion has been available, you’ve had to adapt. And if you’re like many Monks and picked it up the moment they debuted in Mists of Pandaria, you’ve probably had to adapt even more. Being a new class means constant iteration. 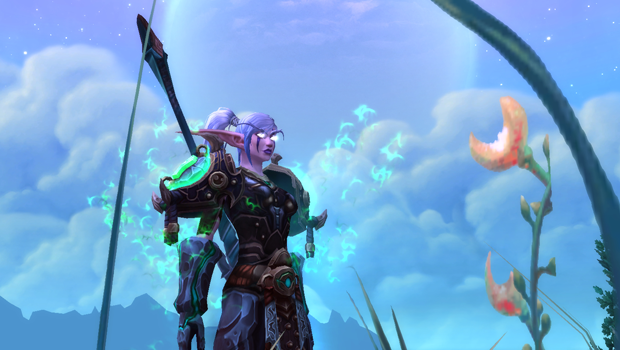 However, especially for Windwalker, those iterations often came in patches rather than simply between expansions. Your mastery changed so many times that some patches it might be a great stat, while other patches, it’ll send you barreling down to the bench. But look at where we are now — you persevered, and things have gotten better. Maybe they’ve become a bit worse in some areas, but that comes with the nature of change. 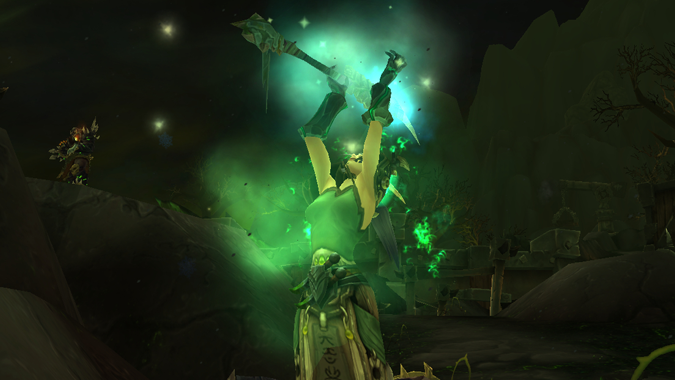 Meanwhile, let’s give Mistweavers a big shoutout, too. Fistweaving has changed drastically between patches. As a Mistweaver, to really make your class and niche shine, you had to be ready to do damage and then snap back to healing when you had to. Obviously there’s far less Fistweaving happening in raids, but it had so very many iterations that playing it right one patch might mean you’re completely wrong the next. Brewmasters — we stayed pretty similar throughout the expansions, until Legion. Now things are completely different. You weren’t that great at first, but now you can hold your own pretty well. Plus, you finally have the cutest Ox summon instead of having that Tiger. Nighthold will really make you shine with Mystic Vitality and the changes to Stagger; you will be an absolute asset to your team again. We may not have gotten the awesome bug-winged tier that Druids got for Blackrock Foundry, and maybe our sets in general have seemed more “boring” and “plain” than other classes. One could view that as part of the class fantasy around inner peace, and to some extent, an amount of subtle modesty. And full disclaimer: I’ve generally disliked Monk tiers when I initially saw them. They seemed so incredibly plain and boring compared to just about every other class’s. But especially looking back, they were thematically perfect. 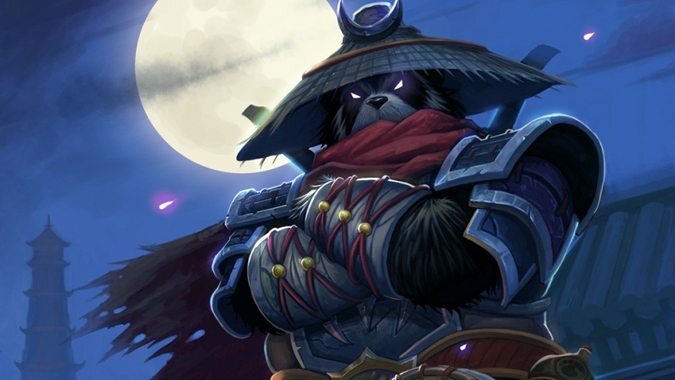 However, as we can all agree, that Challenge Mode hat from Mists of Pandaria should never have happened. We’ve remained a relatively rare and underplayed class, especially compared to other hybrids. However, the love that many people show for Monks can be pretty awesome. What are the things you love about your Monk?